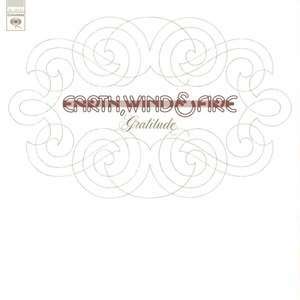 Earth, Wind & Fire - Gratitude 12"
"T" in runouts denotes a [l403953] pressing. Studio tracks recorded at Hollywood Sound and Wally Heiders, Los Angeles. Los Angeles, St. Louis, Atlanta, Boston, New York City, Philadelphia, and Washington D.C. The title is "Can't Hide Love" on the side D label but "You Can't Hide Love" on the LP cover and inner sleeve.